Today started the Yarnspirations Mystery Afghan KAL-CAL. I’m doing the knit version so I’ve been waiting for today since I signed up. The first week is to make four mitered squares. There were instructions and a video to show how to do the stitches. It wasn’t a difficult pattern but I only have one of the four done. 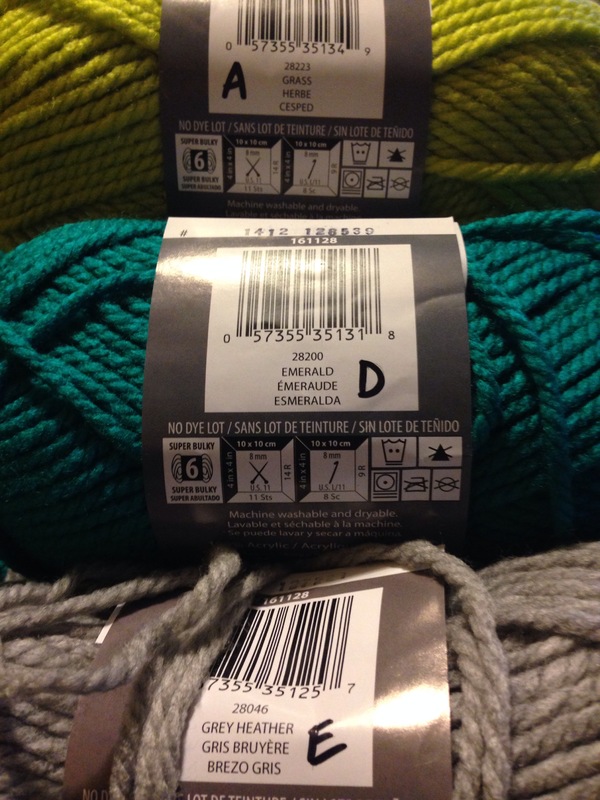 One thing I did do before I stated was write down each of the yarn colors and making sure that I assigned the right contrast color, A through E.
I even put the letter on each skein so I know and won’t confuse myself. If you’re doing this KAL let me know how you’re doing in the comments. I’m a beginner and I found that the video that Yarnspirations included was much lacking. I am a crocheter and am spoiled by the Crochet Crowd’s detailed videos. Thank you for posting a picture so we can tell if we are doing the right thing. Are you making the knit version? Is this the knt verison? 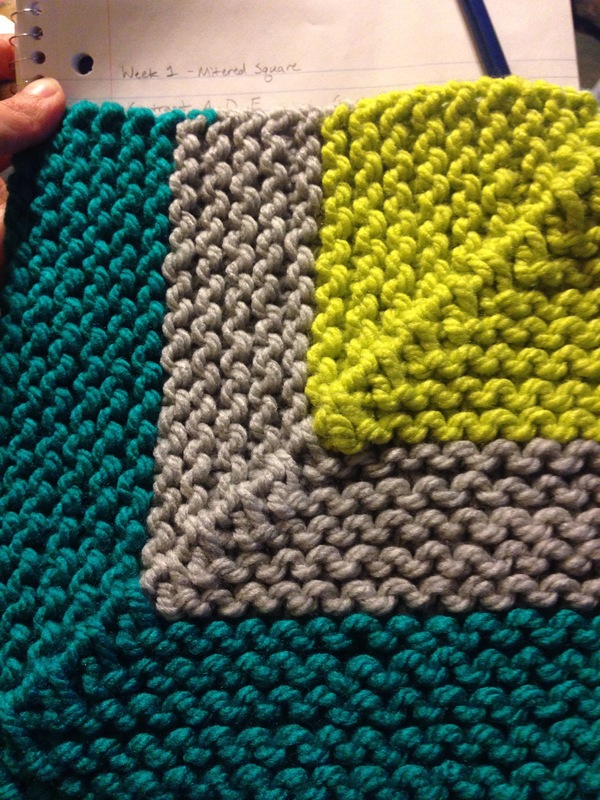 I started today…gauge seems odd it says we should have 10 inch squares.. I reduced to size 10 US and it will still be about 12″ squares… what size are yours…wonder if I should worry. I am doing the knit version. I used size 11 needles and my squares are approx. 9 in. I didn’t really have an issue with guage as each person’s is different depending on their tension and how they carry the yarn. I love the knit version! I am doing the crochet version but have fallen way behind (not even done week 1 yet) and printing the knit clues as they come so I can do it later! I’ve been dying to know what the knit ones look like so thank you for posting these!